Kevin T. Horner is an associate attorney at Pierro, Schaeffer & Connor, LLC focusing on special needs planning, estate planning and estate administration. 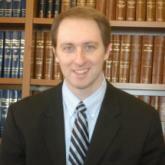 Prior to joining Pierro, Schaeffer & Connor, Kevin was the principal attorney at the Horner Law Firm, P.C., a suburban law practice in the Pittsburgh area handling estate planning for a variety of clients, including special needs planning, long-term care and Medicaid planning, asset protection planning, and business succession planning. Kevin served as President of the Board of Christian Legal Aid, a non-profit legal aid group in Pittsburgh, PA, as well as President of the Greater Pittsburgh Business Connection. He has given numerous presentations on estate planning and long-term care planning across western Pennsylvania, and worked as an adjunct lecturer at Mount Aloysius College. Pierro, Connor & Associates, LLC offers individualized Estate Planning, Trust and Estate Administration and Elder Law services to private clients, their families and family owned businesses. The mission of Pierro, Connor & Associates, LLC is to empower our clients to achieve their goals, protect their families and navigate through the complex problems encountered by each generation. The experience our firm possesses in planning for individual clients, their families and family owned businesses can be traced to the individual practice of founding partner Louis W. Pierro. In February 1999, Mr. Pierro formed the firm and with the growth and expansion of the firm, it was renamed Pierro Law Group, LLC in 2007. In 2015, Aaron E. Connor was named partner, and the firm became Pierro, Connor & Associates, LLC. Together the attorneys have a combined experience of over 100 years in Trusts, Estates and Elder Law.